One local judge is calling out Silverdale officials concerning their poor medical treatment. POLL: Should more be done to improve inmate health care? A Chattanooga judge is using his courtroom to dig into inmate allegations of delayed medical care at a privately owned jail. Criminal Court Judge Tom Greenholtz has subpoenaed Silverdale Detention Center officials in five cases over the past few months to explain why nonviolent inmates are complaining about medical abuses. 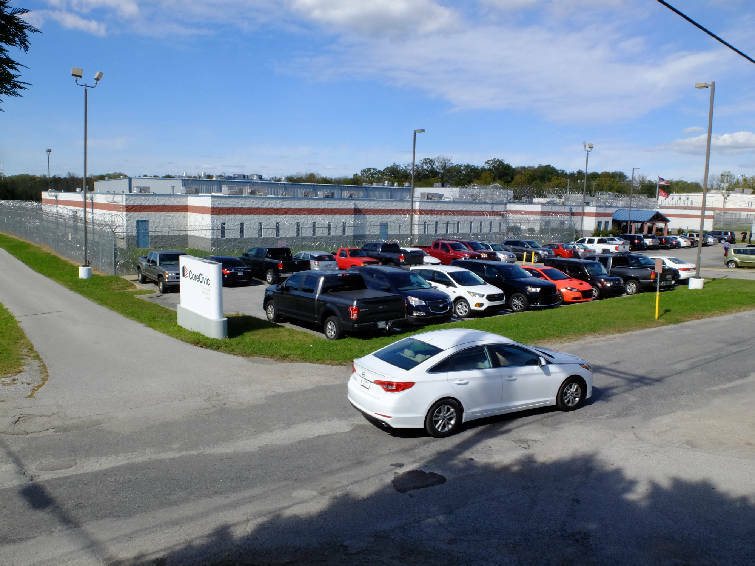 Their allegations include an untreated broken bone, denial of prescribed medication, irregular pill calls, unhealthy food, and inaccurate write-ups that inmates are "refusing treatment." 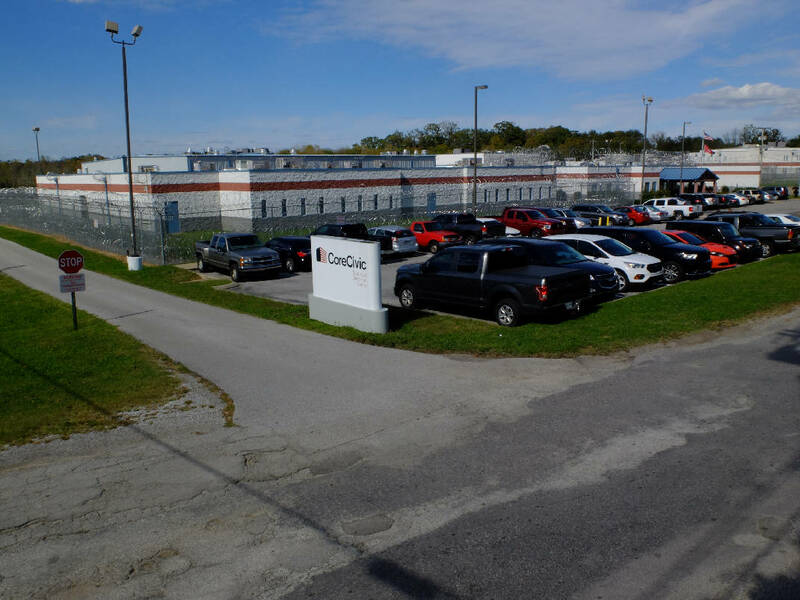 CoreCivic, the private company that has managed the facility for Hamilton County since 1984, said medical privacy laws prevented it from commenting on these details but stressed its commitment to inmate safety and well-being. Jail deaths aren't uncommon, whether the facility has been county owned or privately owned. In August 2016, 26-year-old Madison Deal died from pneumonia caused by heroin withdrawal that Silverdale staffers didn't treat for nearly a week, her family's attorneys said. In May, 45-year-old Jeffery Simmons experienced a "medical emergency" and died at the county jail even though his family said deputies knew he had a history of deadly heart issues. The difference, inmate advocates say, is private jails are designed to generate profits and will cut corners on medical expenses to do so. 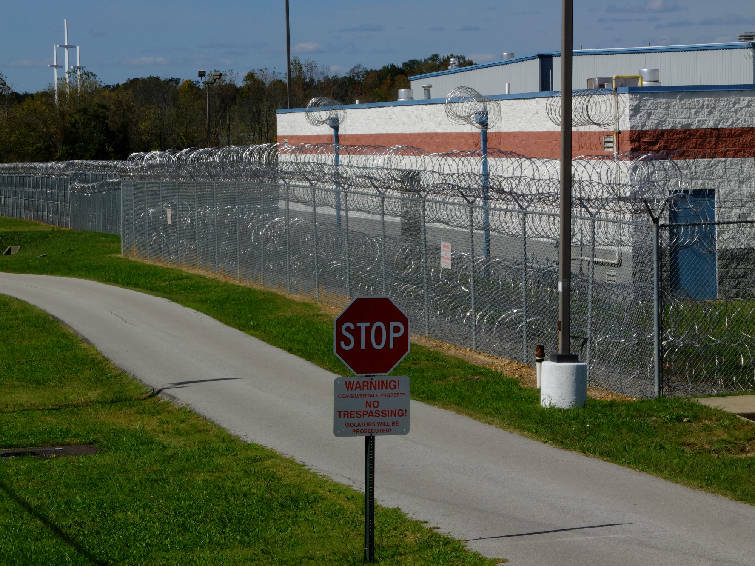 "One way to generate profit is to not provide medical care until [inmates] get out," said Alex Friedmann, managing editor of the Prison Legal News. "Because if you're denying medical care, you're not paying for it. "It's pretty abysmal across the board, but at least in those county systems there's not a profit motive." Judges don't often spearhead investigations into health care at the jails. In 2009, then-U.S. Magistrate Judge Todd Campbell arranged five days of hearings for inmates at a county jail in Middle Tennessee who said the facility had failed to provide a nutritionally adequate diet. Over government arguments, Campbell ordered authorities to remove a pretrial detainee from the jail as a result, news accounts show. Like many judges, Greenholtz usually denied requests from inmates for reduced sentences due to mistreatment. But then he read Jared Hodges' fifth plea to the court in late August that claimed the facility wasn't treating his broken bone. "Some people in the workhouse are accused of or have been convicted of serious crimes, and for those convictions they deserve the punishment they have," Greenholtz said Thursday. "But no just society can tolerate the medical mistreatment of those for which we have the obligation of care." Greenholtz asked jail officials to bring medical records to his court and arranged a hearing in Hodges' case for Aug. 30. Hodges, who also has cancer, was convicted in April of drug possession and theft of property and had been in Silverdale for nearly four months. "So, no one had any follow-up with respect to this man's bone cancer?" Greenholtz asked that day. "No, sir," said Veronica Winters, a medical administrator at Silverdale. "And is that based simply upon the initial note that he refused treatment?" Greenholtz asked. Hodges had developed a treatment plan with a doctor following his 2013 diagnosis, which is why he declined chemotherapy and radiation, his court records show. Greenholtz turned his attention to the bone popping out of Hodges' shoulder. "What has [the jail] done since he's been in there? What else happened other than Tylenol?" he asked. "I want to say that we sent him for X-rays of his shoulder," Winters said. "I haven't been to have X-rays on my shoulder," Hodges said. "They haven't?" Winters asked. "OK, it may have been somebody else I was looking at." That day, Hodges became the first person Greenholtz released on probation because of the hearings into allegations of medical mistreatment. Days later, Greenholtz released a second inmate, 57-year-old Lola Matthews, of Tampa, Fla. He has a few more medical cases coming up on his docket. Former inmates, family members of the incarcerated and local attorneys applauded Greenholtz's initiative but said they believe medical issues will continue as long as there's a privatized, for-profit system at Silverdale. The county recently announced it's destroying its downtown jail and expanding Silverdale to house about 1,700 inmates. Chris, a professional chef who asked to be identified by first name only, said he went about a month in May 2016 before Silverdale gave him medication for his bipolar depression. The 37-year-old is fighting a case right now in Criminal Court. Chris also reported a swollen elbow from a spider bite and asked for Aleve for a degenerative neck condition. When he received medical attention about two weeks later, a nurse claimed he'd already been to the clinic twice, Chris said. Not only was that untrue, "but there were no visitation notes in their system," Chris said, "so they rescheduled me for next week." Chris said he never received Aleve during his roughly four-month stay. But he documented many instances of poor medical management in a 10-page diary he smuggled through spot inspections. "June 9, no pill call last night," he wrote. "June 13, no pill call." "June 14, pill call at 3 a.m.," he wrote. "I missed it because I'm in a closed four-man room and if you don't hear it, or nobody wakes you, you're in trouble." A different inmate, who asked not to be identified by name, said she entered Silverdale in February 2014 with a hypertensive blood pressure crisis and a doctor's note confirming her medical prescriptions. Silverdale, however, made her check the pill bottle at the door. For the next three days, nurses checked on her three times daily and gave her diuretics so she would urinate but never administered blood-pressure medicine, she said. The former inmate, now 40, said Silverdale also didn't adequately address women's health care. Women had to roll their own tampons and sometimes got infections because Silverdale only provided a few, cheap, one-size-fits-all sanitary pads, she said. Silverdale also made her come off birth control, which she used to stabilize her mood swings, she said. When she asked about it, a nurse said it was Silverdale's policy. What if inmates needed it? "Well, you got yourself in here," she recalled the nurse saying. Jim Cheney, a spokesman for CorrectCare Solutions, Silverdale's medical provider since November 2015, said birth control can be administered "as long as it has been approved by the medical director." The company tries to verify a person's prescription once they enter the facility, Cheney said, but it's difficult to pinpoint how quickly the medicine arrives. "It is difficult to identify a specific timeline for the arrival of the medication because the verification process varies based on the patient's medical history and record availability," he wrote in an email. 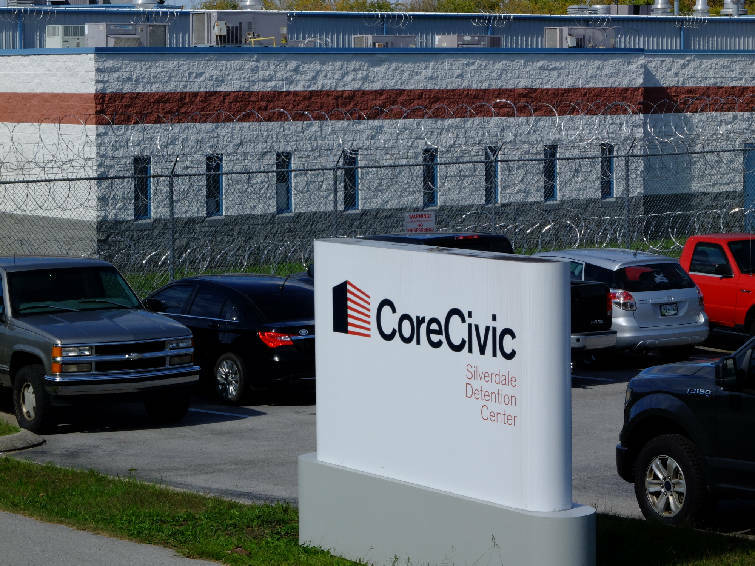 Robin Flores, a civil rights attorney who frequently sues CoreCivic on behalf of inmates, said he's encountered these stories for almost two decades. "They screw up over there all the time," Flores said, "primarily in two areas: They hold people over their release dates, and they withhold medical care. That's what I've consistently seen over the last 17 years litigating with them." It's not unusual for jails to take people's medications upon entry, said Friedmann, the inmate advocate. Officials have to verify prescriptions because they don't want illegal drugs or contraband floating around behind bars. "The question is whether it's done in a timely manner or not," Friedmann said, "because some medications need to be taken on a daily basis." Sylvia Mayer, a nurse and employee at Southern University, said her son is a Type I diabetic who faced a medical crisis at Silverdale earlier this year because officials weren't aligning their food service and pill call. "What they would write is he refused insulin," Mayer said. "And it's like, 'Are you serious?' What they did is they didn't wake him up. One reason he might not have woken up is because his blood sugar might have put him in a coma." Because the food is starch and carb heavy, her son has been buying beans from the commissary and sprinkling ramen noodle flavor packets on top, Mayer said. His expected release date is in early December. Many of these families and former inmates feared retaliation for speaking out, especially if their loved ones are still inside or have a chance of returning to Silverdale. But in some cases, Greenholtz's involvement has improved the medical situation. Matthews, who is also a Type I diabetic, said she received no insulin for two days when she entered Silverdale in late July for a theft conviction, her court records show. Since then, she said, officials were limiting how much insulin she could take. Furthermore, medical officials said they couldn't provide a prescribed ointment for Matthews' blindness in one eye or an optometrist because they didn't have one on staff, her records say. Then, in late August, Greenholtz asked to speak to Matthews while he was arraigning Silverdale inmates on a jailhouse video call. It wasn't time for Matthews to plead guilty or not guilty; she was already sentenced. But Greenholtz had noticed the emails and letters Matthews and her daughter had written to him, records show. "So what happened since [we spoke]?" Greenholtz asked. "I'm curious." "Last Friday, they started to increase the insulin," Matthews said, "and the staff member told me last night that I can have it monitored as much as I want." Winters, the medical administrator at Silverdale, said Matthews wasn't on her medication because the facility "can't guarantee when the food trays are going to come," so providers use a faster-acting insulin to stabilize blood sugar levels, according to a transcript of the hearing. Matthews had refused the diabetic tray, Winters said, adding that Silverdale can't control what inmates buy from the commissary. Matthews said she refused the tray because "there was always something wrong with it," her court records show. Matthews said she bought granola bars at the commissary, heading off any insinuation that she was eating unhealthy sweets. Greenholtz ultimately granted a temporary release from custody, partly so Matthews could care for her dying aunt in Florida and partly so she could visit her doctors and bring back the right medication, which Silverdale agreed was fine, according to her court records. "My sense is that your case is on their radar," Greenholtz said at the end of the Sept. 5 hearing, "so they're going to be watching out for you." Matthews still needed to return by Oct. 1 to finish serving her six-month sentence, Greenholtz said. Matthews said she could and did. But her story didn't end there, court records show. Matthews wrote Greenholtz again on Oct. 3, saying Silverdale administered her medicine for two days, then switched her to something in-house. So Greenholtz intervened. He issued another subpoena to Winters on Oct. 10. He scheduled a hearing for Oct. 16. At that point, Matthews' scheduled release date was Nov. 6, records show, roughly three weeks out. Turns out, he didn't need to do anything. A day after the subpoena, records show, Matthews was released on "time served." Contact staff writer Zack Peterson at zpeterson@timesfreepress.com or 423-757-6347. Follow him on Twitter @zackpeterson918.